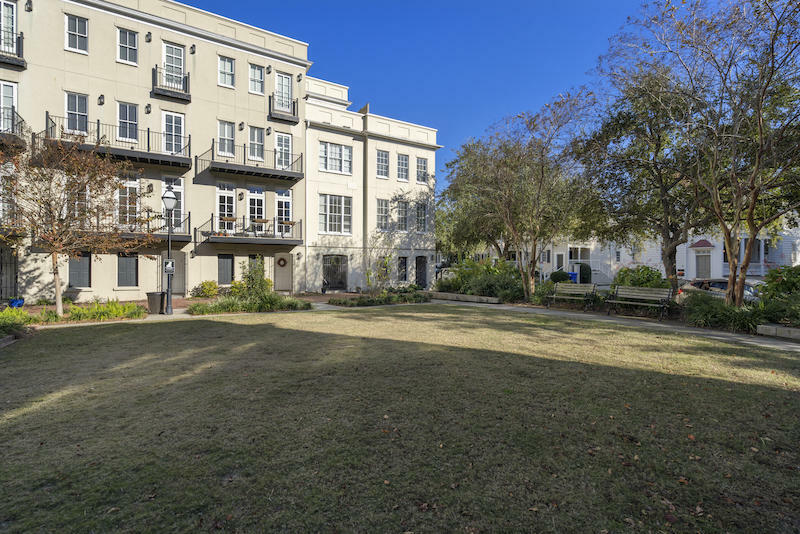 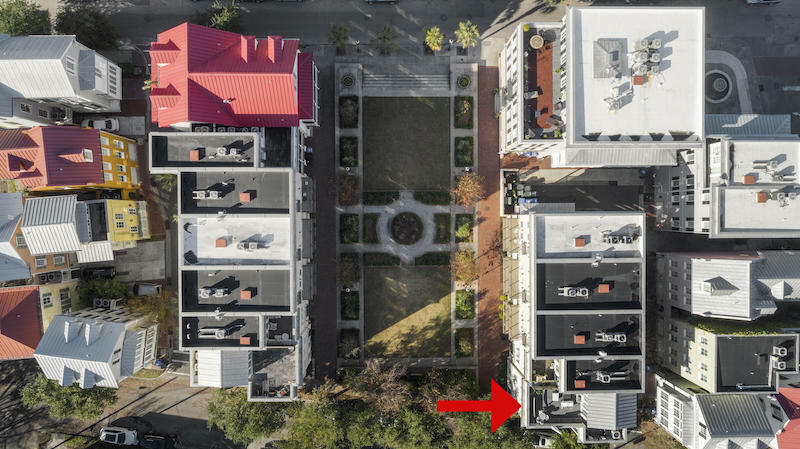 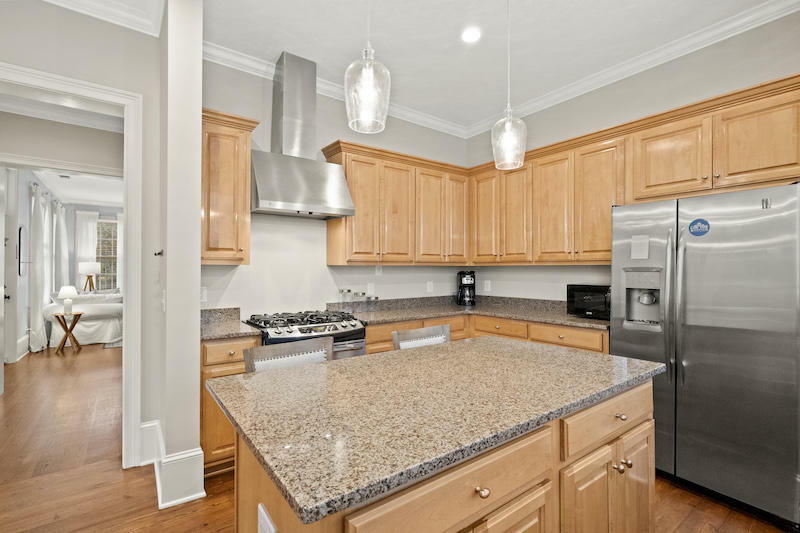 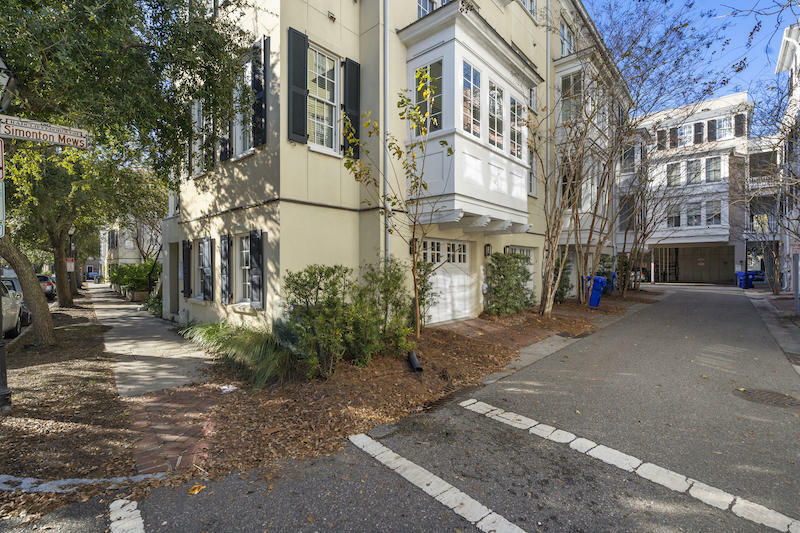 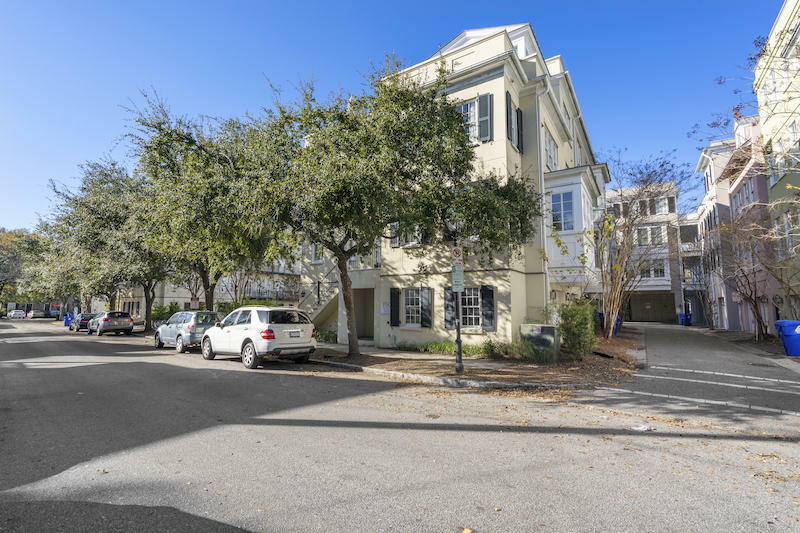 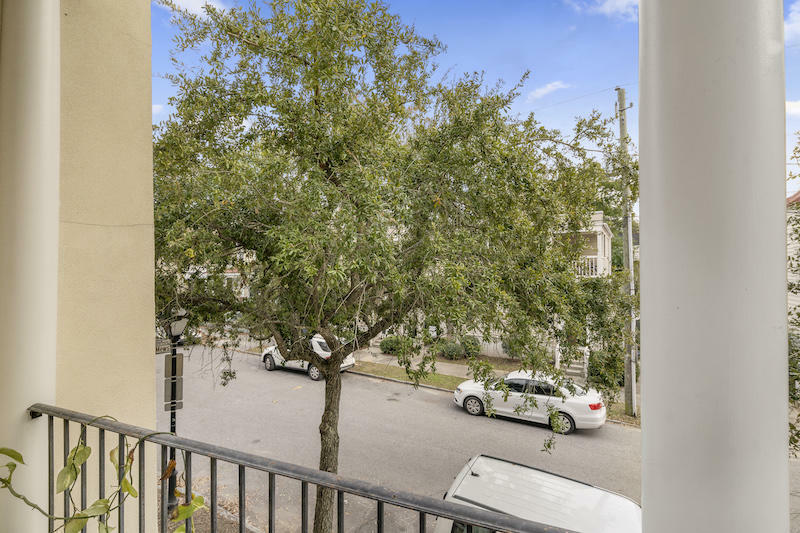 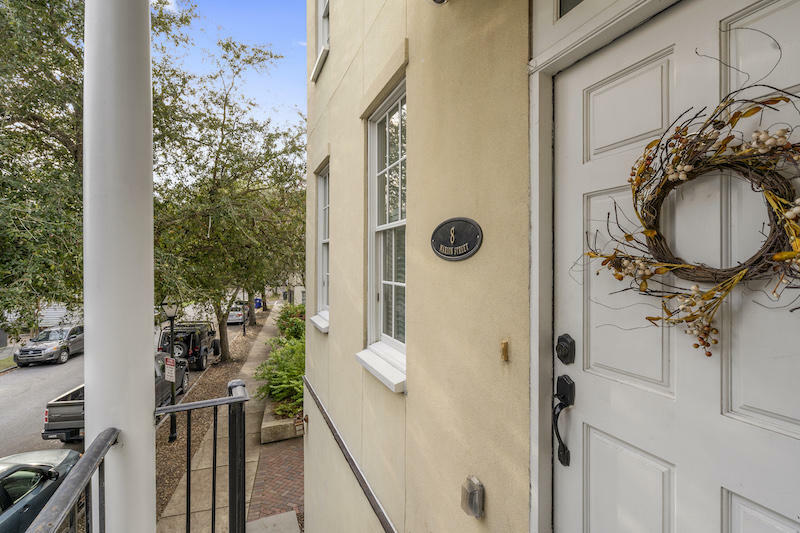 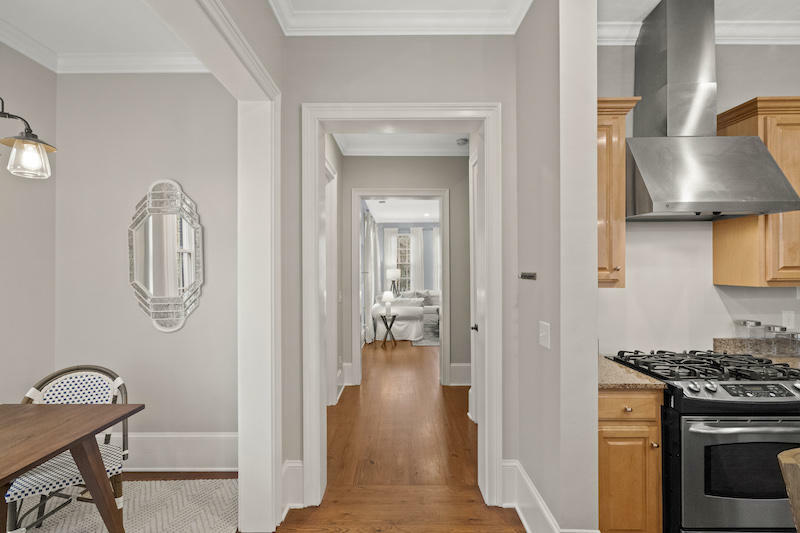 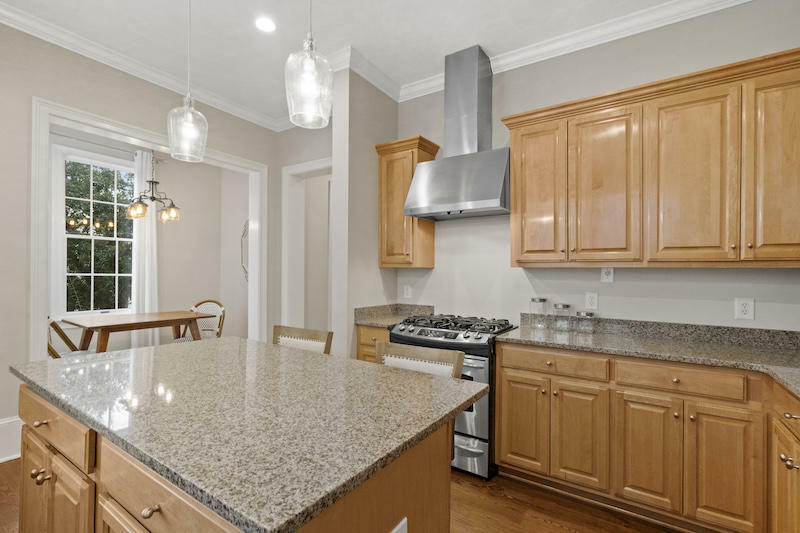 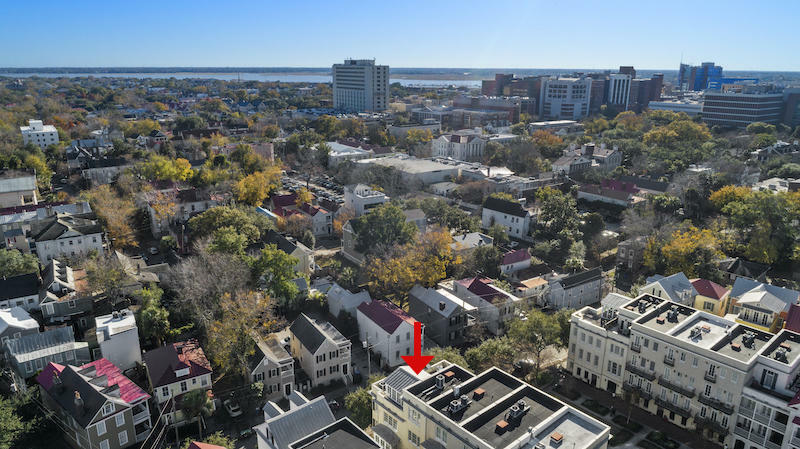 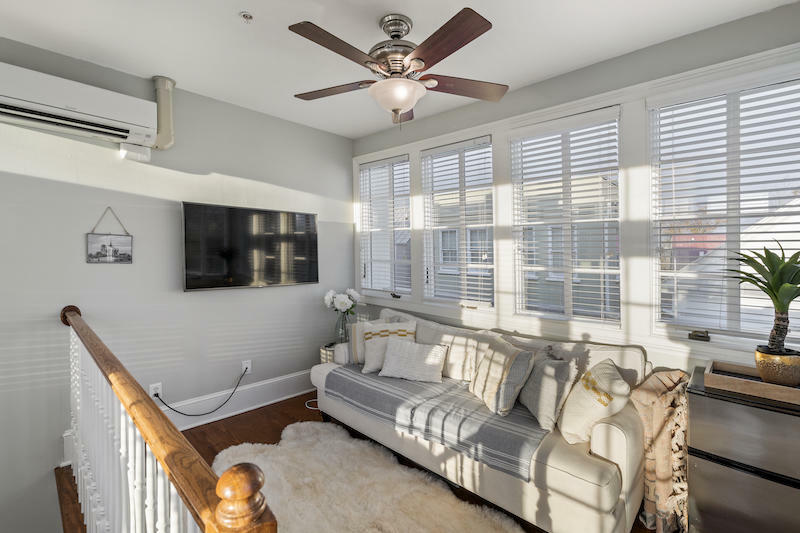 Don't miss this beautiful END UNIT Charleston townhome located in historic Radcliffeborough on Morris Square. 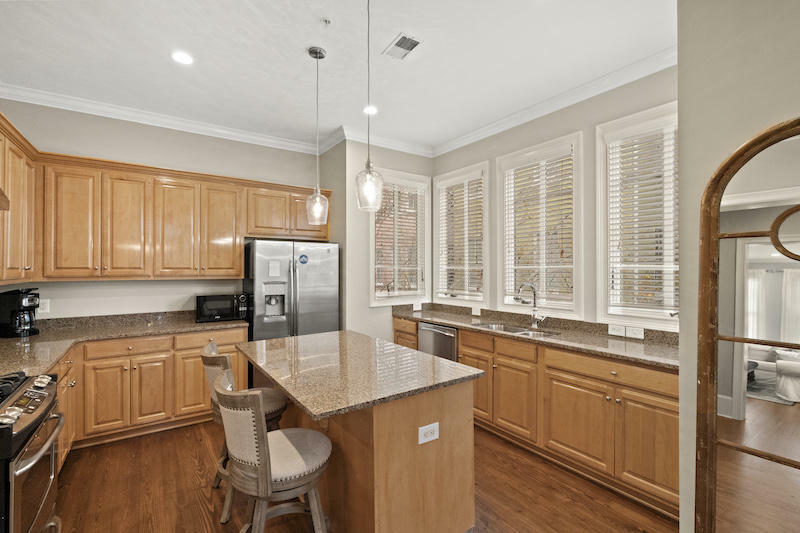 The open floor plan flows into the gourmet kitchen complete with a breakfast nook. 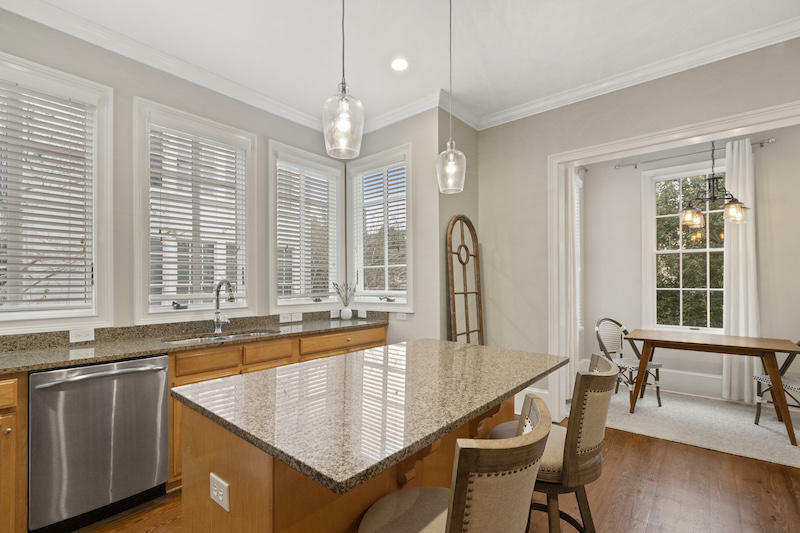 Beautiful granite countertops and stainless steel appliances glisten with an abundance of windows in this amazing kitchen. 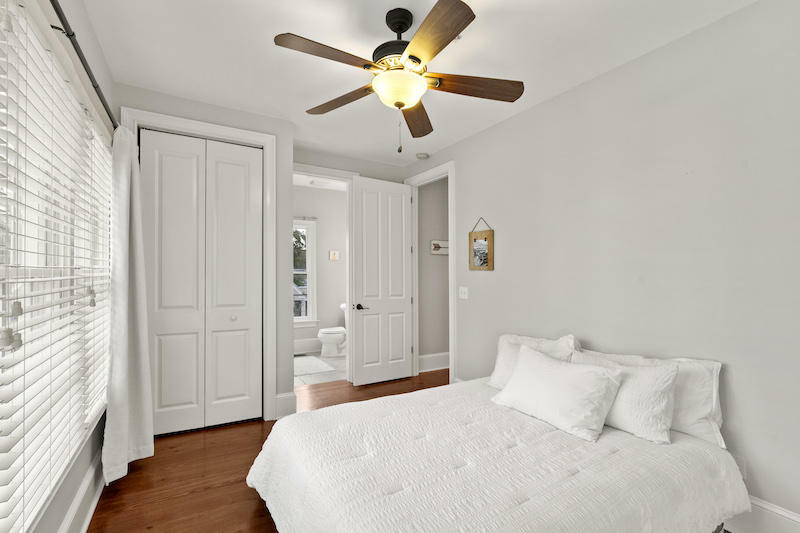 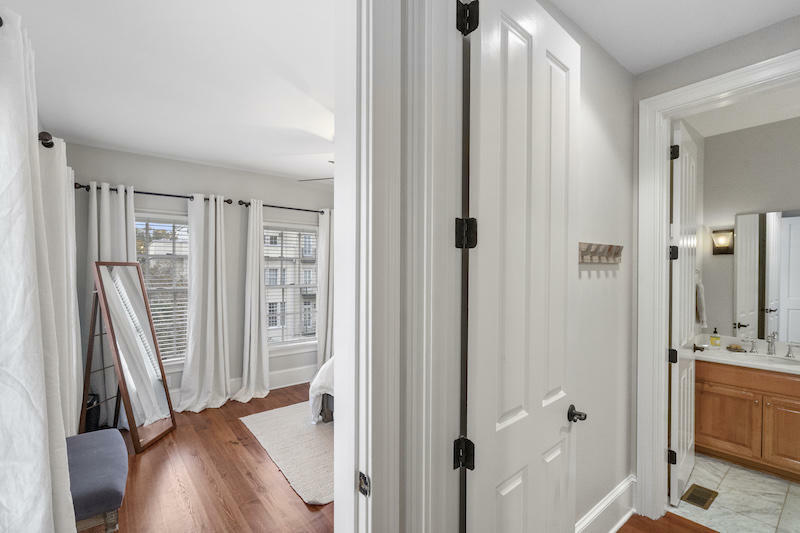 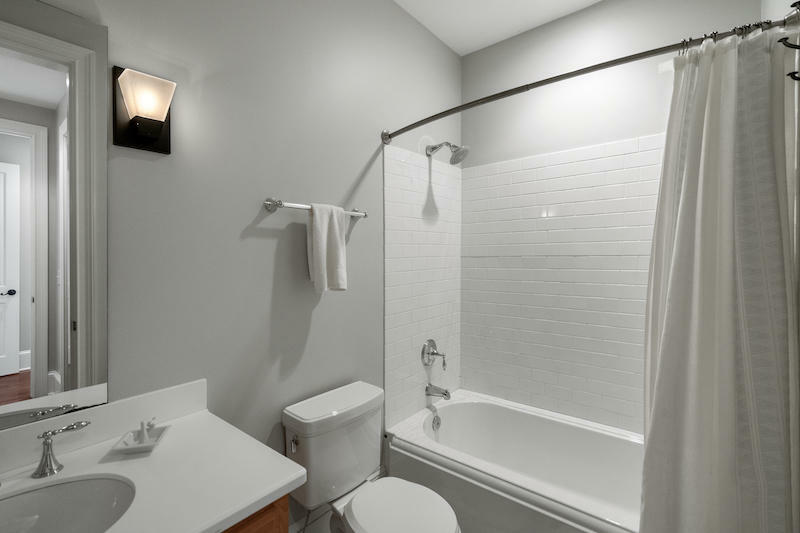 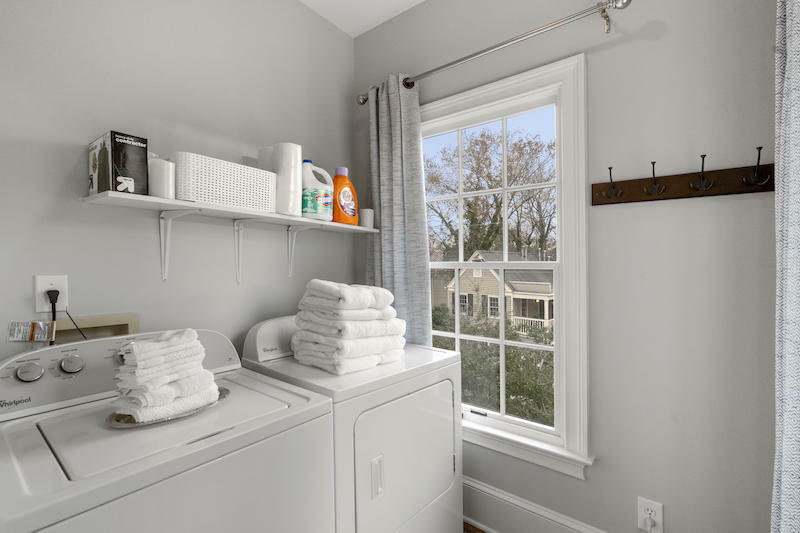 The second floor shares two bedrooms and two bathrooms with an oversized laundry room. 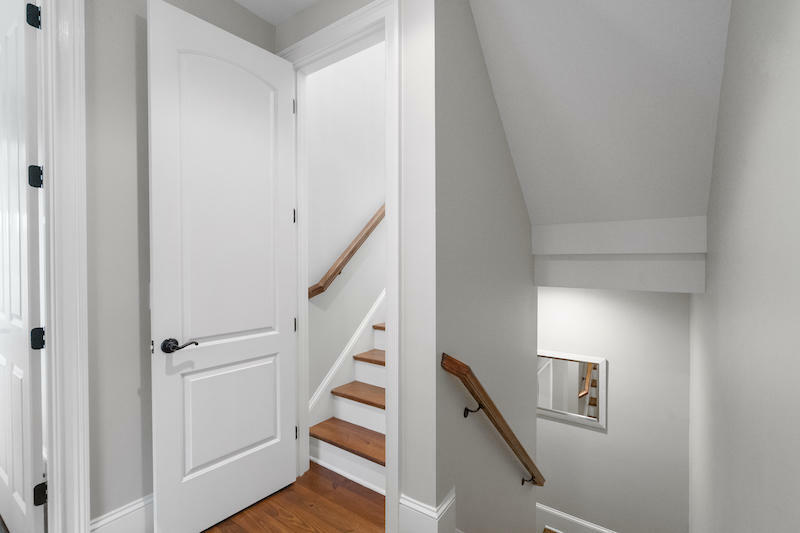 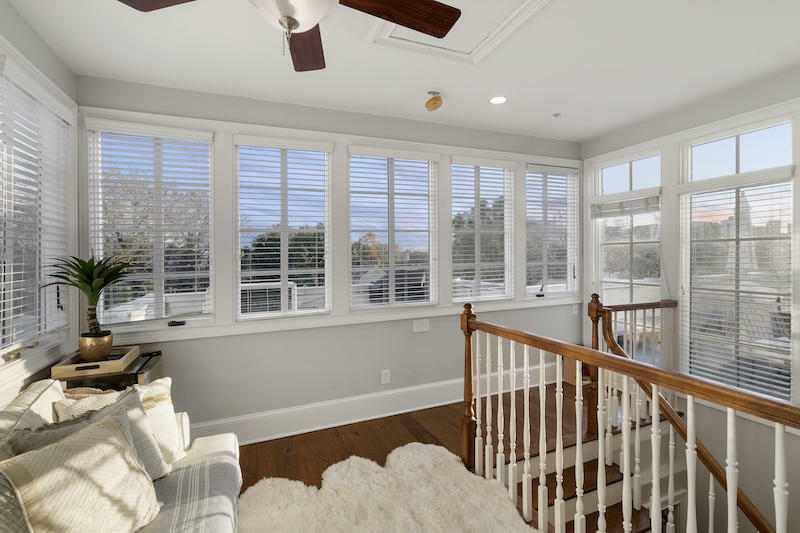 The beautiful staircase with hardwood floors leads to an amazing living area on the third floor. 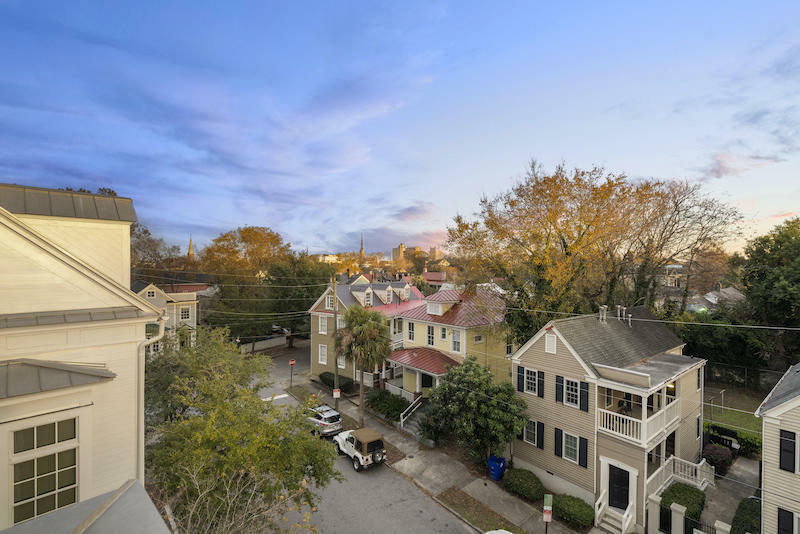 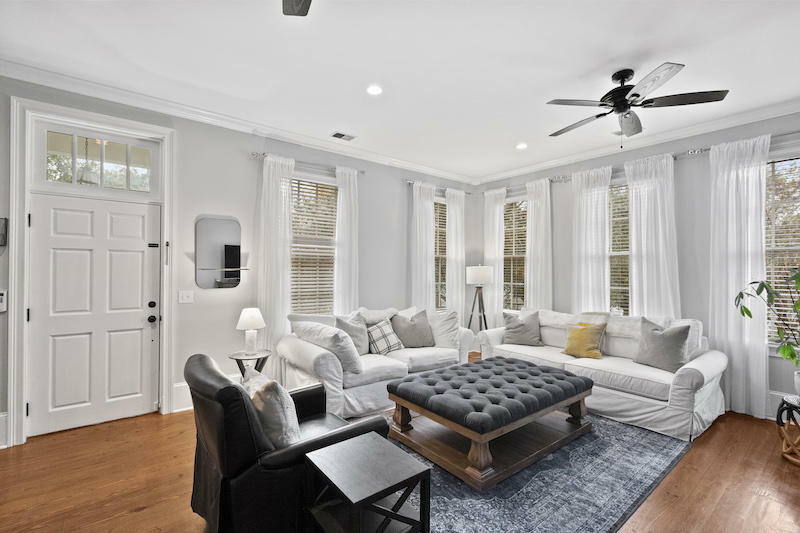 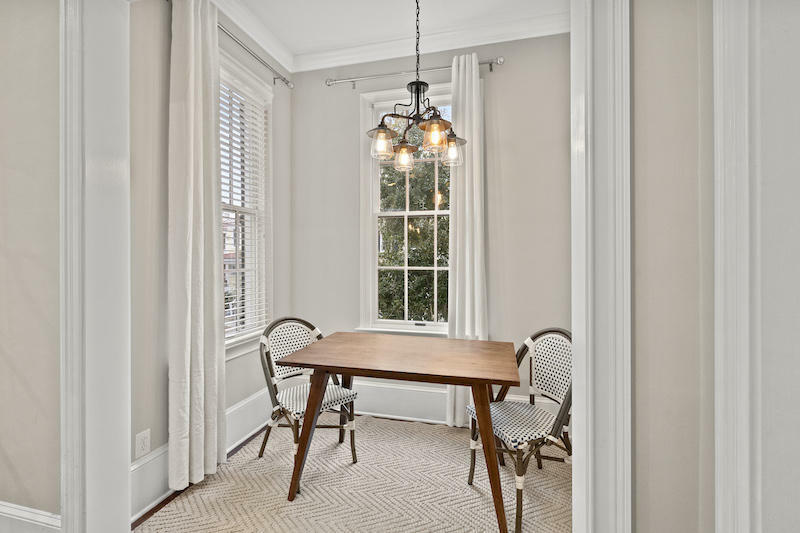 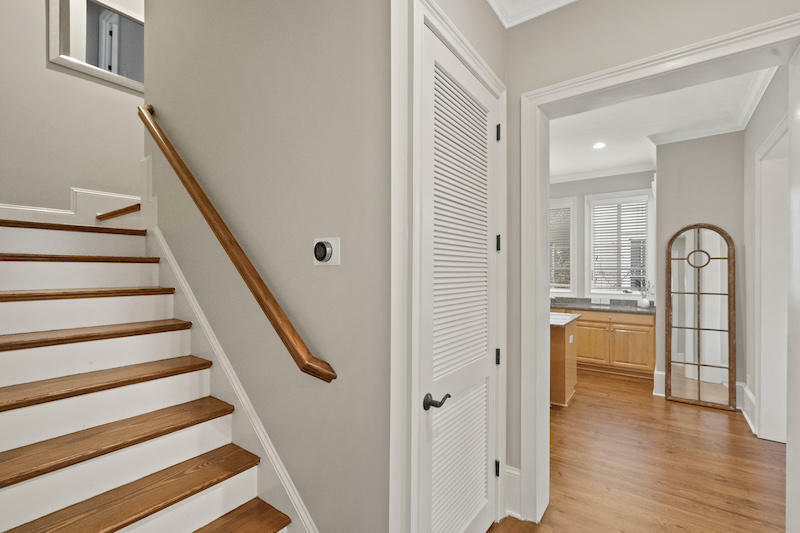 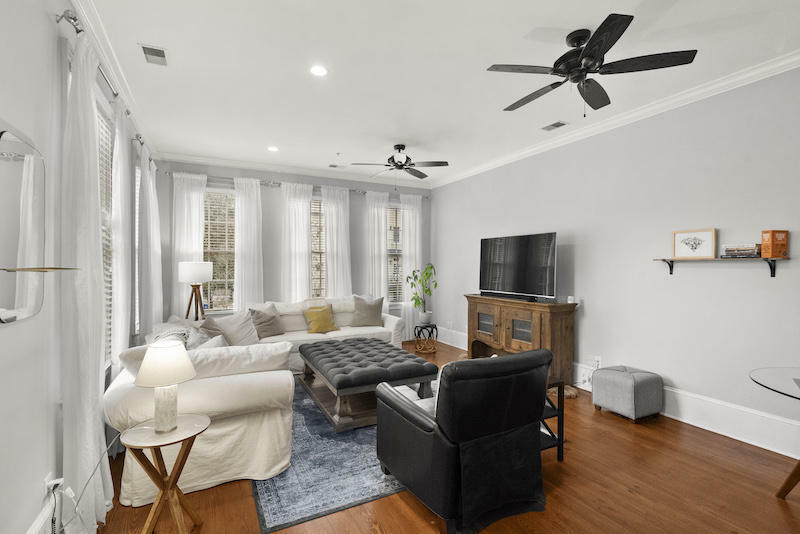 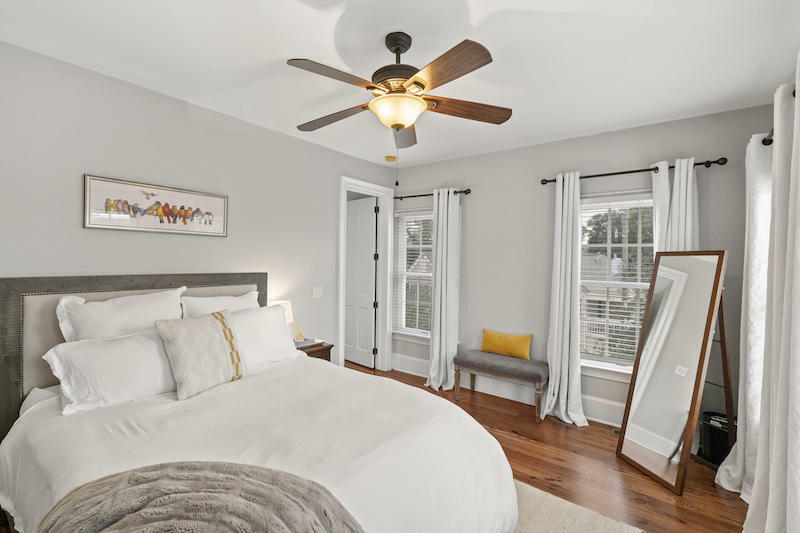 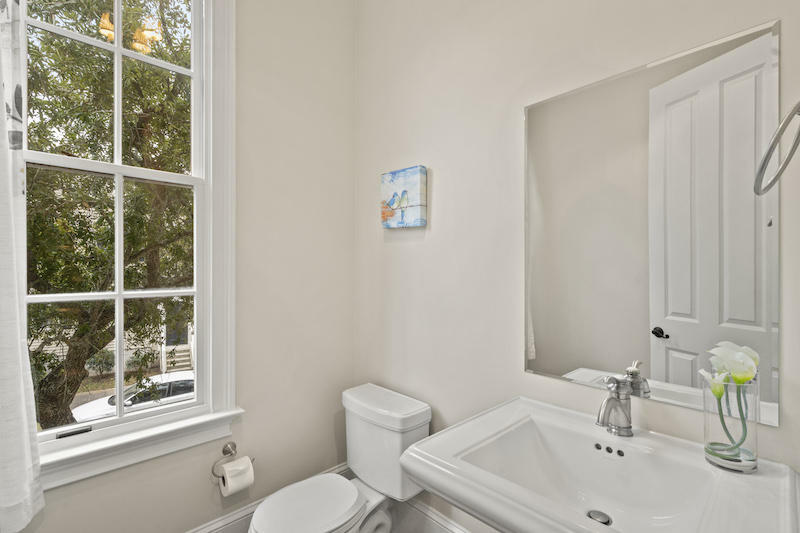 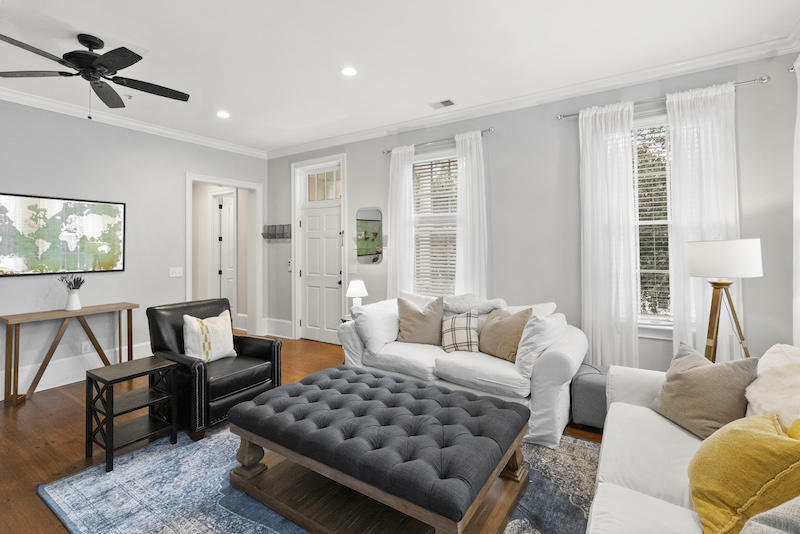 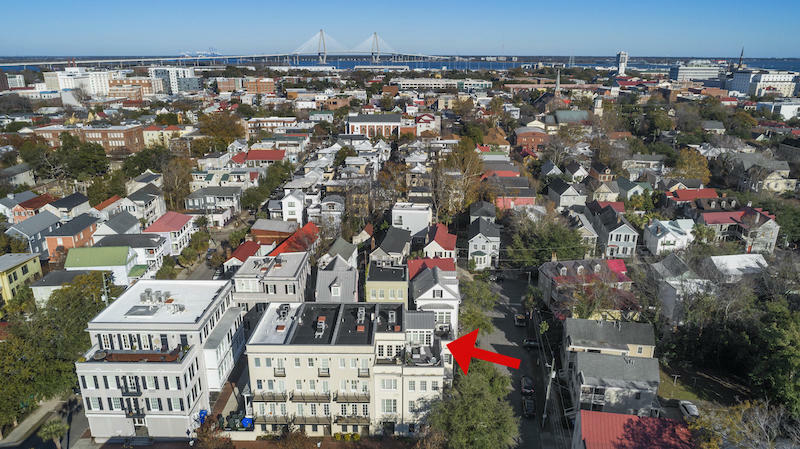 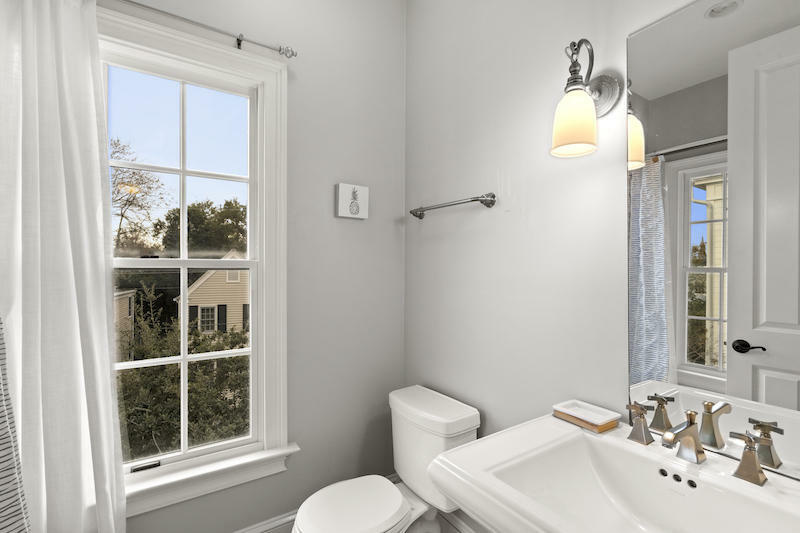 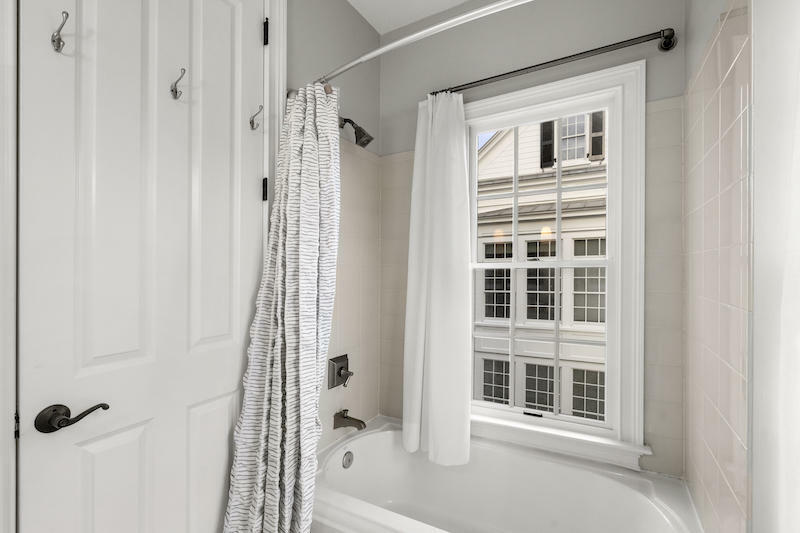 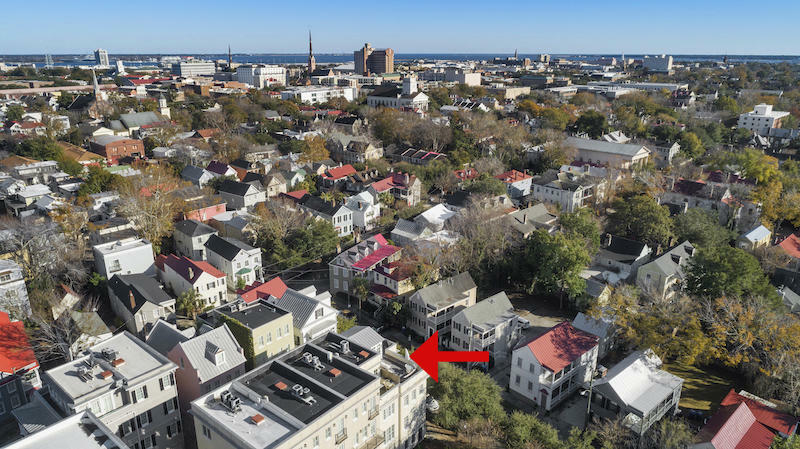 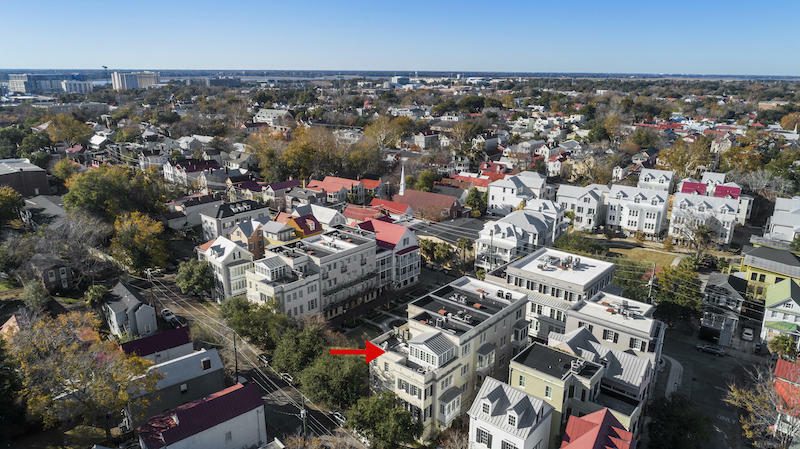 Whether you need office space or an additional bedroom, this unique location can be totally shut off from the rest of this home and the large windows allow the perfect spot to admire Charleston's beautiful steeples. 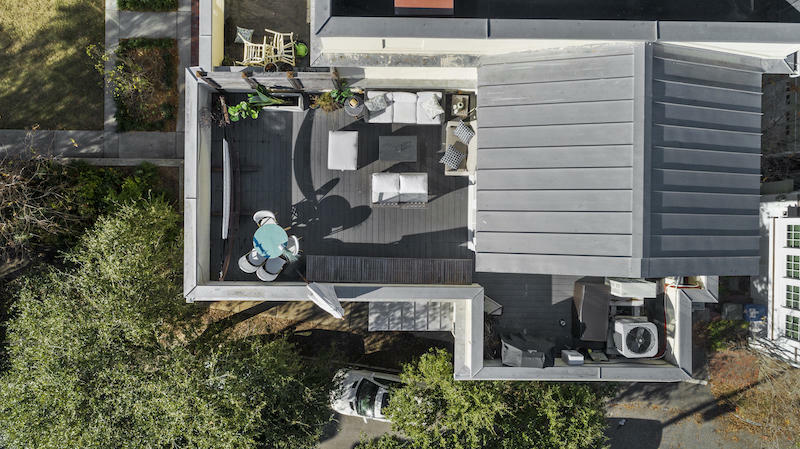 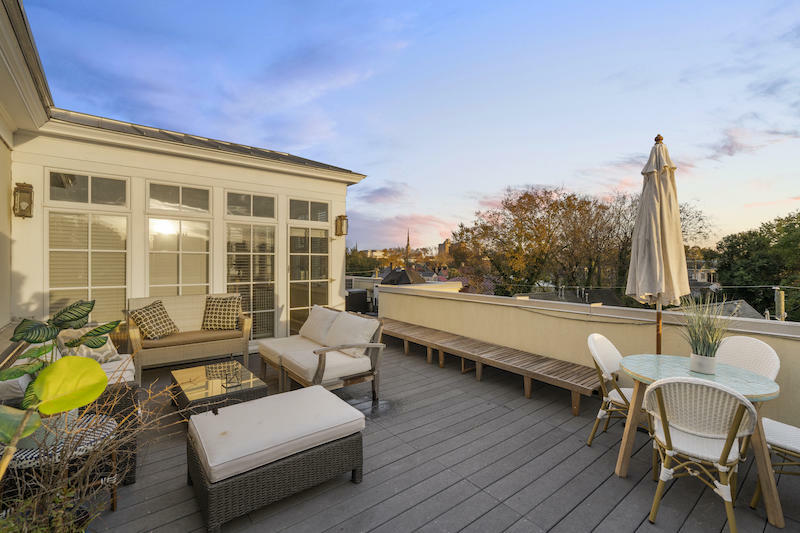 To complete this end unit has a fabulous rooftop mezzanine large enough for entertaining. 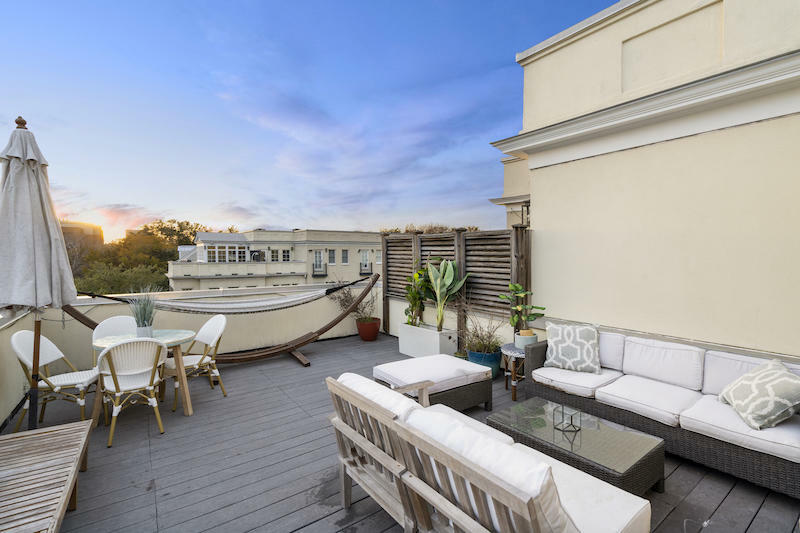 From coffee at sunrise to cocktails at sunset, you will never tire of the amazing view! 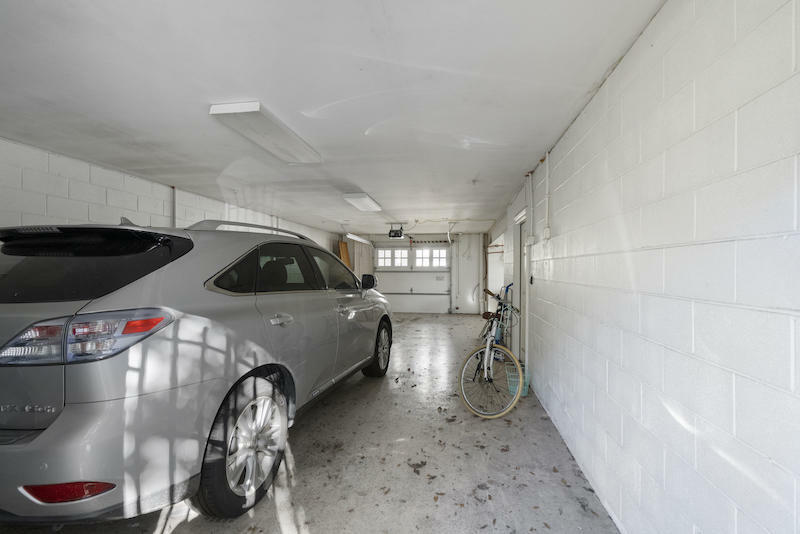 Parking will never be a problem with a garage that is spacious enough for 2 mid-size cars or used for additional storage space. 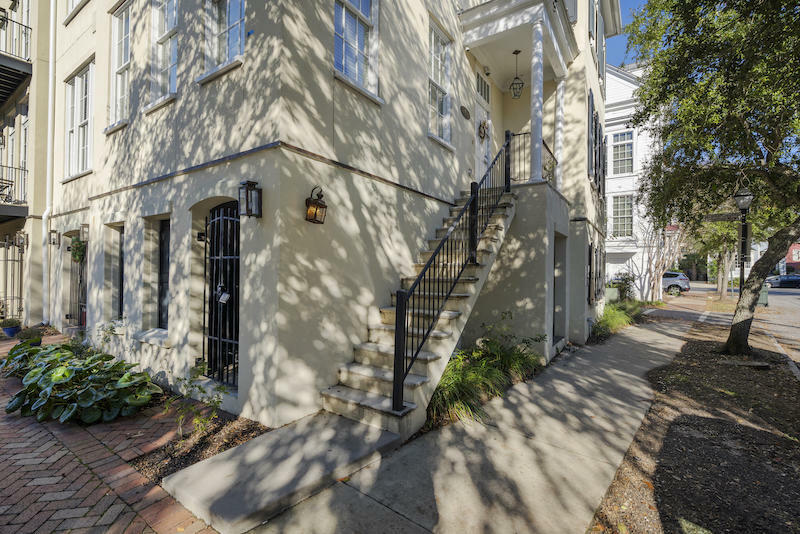 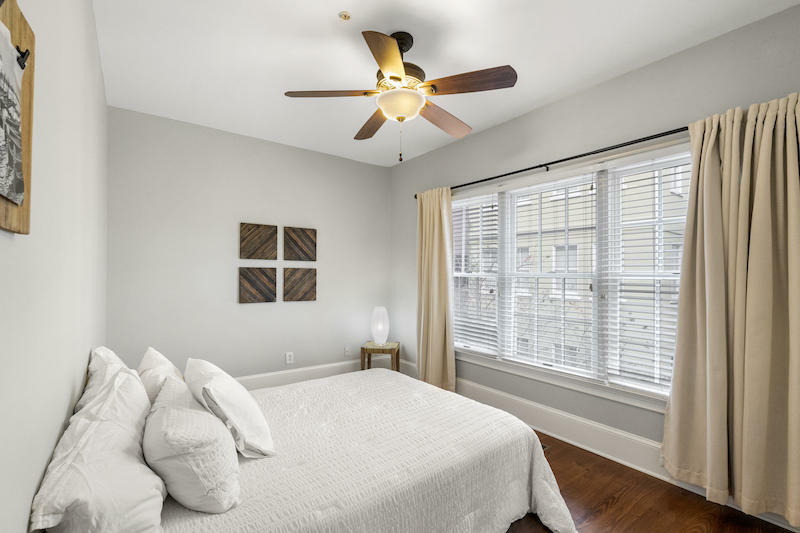 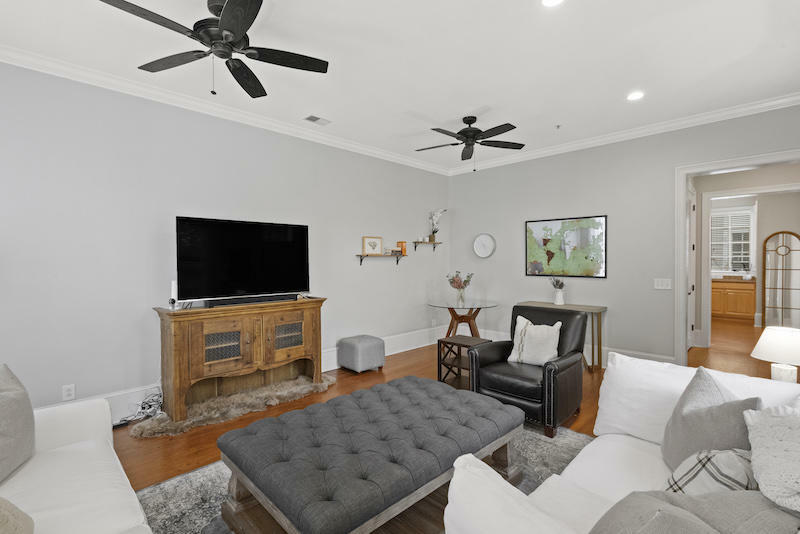 Close to King street's design district with luxurious boutiques and spectacular restaurants, you will be enamored with this charming townhome. 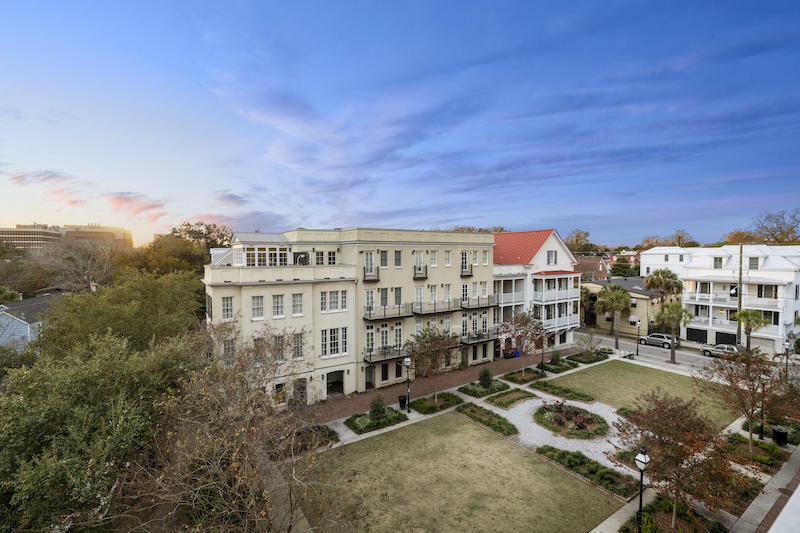 Walk or bike to the College of Charleston, Charleston School of Law or the Medical University of South Carolina while taking in the historic grace of Charleston. 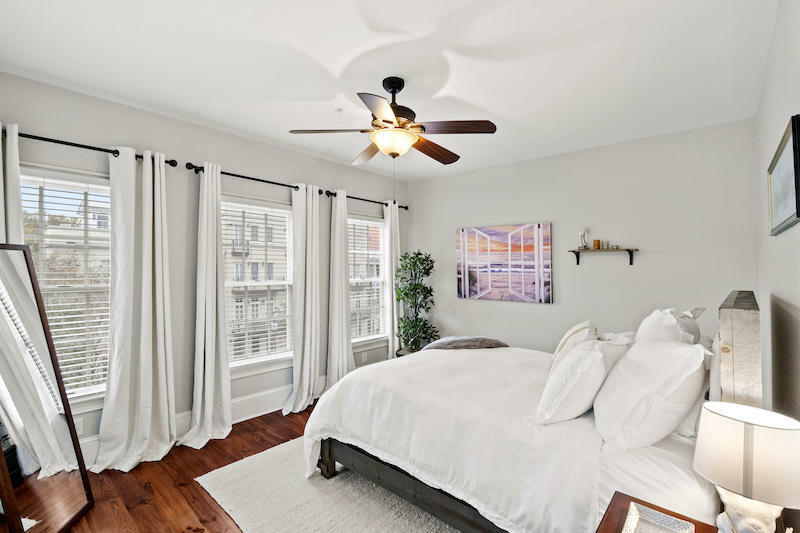 HOA includes insurance and standard maintenance.